Story Contracting played host to a construction safety and health awareness event on Friday (18th September) in association with the UK-wide Working Well Together (WWT) health and safety initiative. 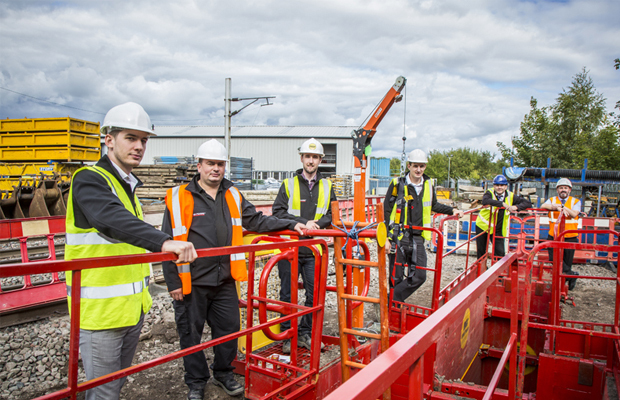 The event was organised to focus on excavations and excavator safety demonstrating safety solutions through theoretical and practical sessions in the Story Training Centre and Burgh Road Training Track in Carlisle. With support from MGF specialist excavation equipment supplier, members from the Cumbria WWT Group covered topics such as lift plans, machine selection, quick hitch safety, safe load indicators and avoiding underground services. The practical sessions allowed members to understand what contractors need to consider regarding temporary works design, procedures for excavation support systems, the safe installation and the removal of shoring. The Working Well Together initiative is an industry led initiative put in place to improve health and safety across the construction industry, particularly in the small and micro businesses. Started in 1998, WWT has gone on to become the most successful, health and safety initiative within the construction industry. The WWT regional groups stage a number of free health and safety events each year which are focussed on the needs of the small to medium contractors, encouraging co-operation between members in relation to sharing knowledge of health and safety matters. The event was attended by 50 local contractors ranging from small builders and specialist contractors to health and safety consultants and Health and Safety Inspectors (HSE).